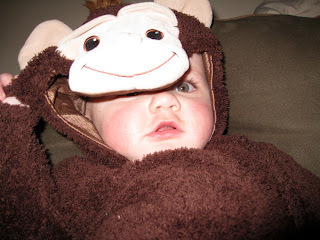 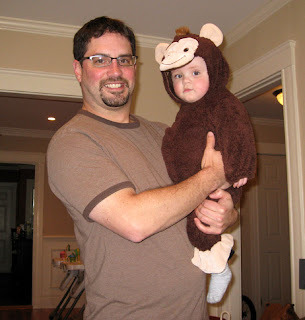 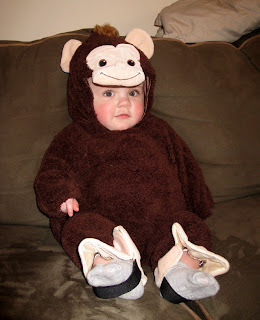 Colin is a happy monkey - he seems to like his costume. 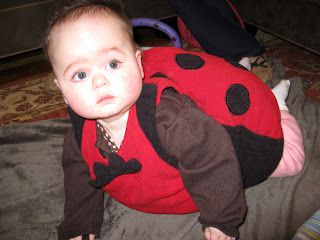 Ava is a not-so-sure ladybug. 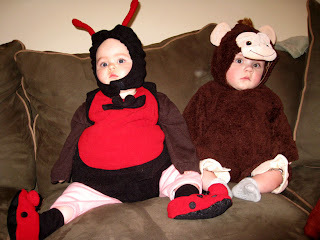 Her costume is limiting her movement and she doesn't like that! 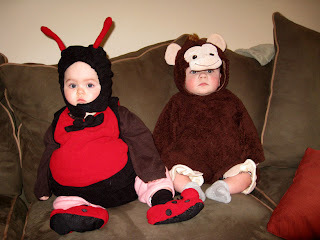 We'll see if they're up for a stroll this evening for some trick-or-treating!